On her debut album, Icelandic musician Hekla Magnusdottir delivers a coup de force performance, navigating through neo-classical, ambient, and experimental electronic motifs with the theremin as guide. I think there is a touch of prejudice when it comes to the theremin, the electronic musical instrument invented by Lev Sergeyevich Termen in 1920, but it is definitely an acquired taste. Despite being an instrument that allows modification of two sonic dimensions, in this case, amplitude and frequency, the fact that it allows interaction through gestures has allowed performers to express their musical creativity further. The Icelandic theremin musician Hekla Magnusdottir is a product of this great tradition, combining the standard use of the theremin with ambient music and neo-classical leanings to produce her debut record, Á.
I am always amazed by not only the alien sound of the theremin, something that I probably associate with the use of the instrument in Herrmann's classic film The Day The Earth Stood Still, but by the impressive range of the instrument in awakening so many different sentiments. The opening track of this album is an example of this unexpected attribute as it performs random walks across the frequency domain. These switches result in changes between horrifying moments, where the low frequencies prevail, and a subtle melancholy caused by the expressive lead parts. While the theremin provides this multidimensional representation of mood and aesthetics, the vocal delivery of Hekla takes on a more static, sentimental approach. The opening track is again a perfect example of this quality, as is the more abrupt "A Way", both finding Hekla giving a heartbreaking performance that verges on the transcendental. The way in which Hekla moves through the different sentiments, and how she approaches them display a neo-classical sense combined with a cinematic element. The low-mid frequency range of the theremin represents this classical twist, majestically overpowering the lower drones. These solitary parts are truly shining, in moments like "I Hring" and "Heyr Himna Smidur", and they also display the range of influences that Hekla has taken on. At times the movements are reminiscent to the sadly recently deceased Johann Johannsson, and his experimental approach to scores, while there is also an alignment with Julia Holter's intelligent take on neo-classical songwriting. The other aspect that she has inherited from this lineage of artists is an impressive ability of shaping the ambiance. The theremin aids greatly in that respect able to build these atmospherics with a more sparse representation, as is the case with "Arms", producing a moment of perfect serenity with the vocals standing firmly at the center of it all. While retaining this classical perspective Hekla injects further experimentalism on her work, resulting in a bizarre, art-house cinematic rendition. The ability of the instrument to produce disruptive sounds, as is the case with the transcendental "Muddle" aids further in that respect. 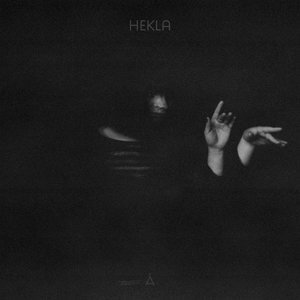 It also reveals the additional layers that lie beneath the surface for Hekla, showing the experimental electronic influence of the Berlin scene. The harsher sounds of "Ekki Er Allt Gull Glor" further expands her rich palette of sounds towards a dissonant direction, while taking on a touch of a folk-ish element as the theremin imitates an organ-like timbre that binds the dissonance with the slow-moving drones. Similarly impressive is the granular noise of "A Way" that highlights this break from the norm, resulting in one of the most avant-garde performances of this album with its glitchy sound. The solo theremin performance binds Hekla's performance to a minimalistic area. However, the composer's knowledge of the instrument and its rich tradition, going back to the days of Clara Rockmore, allows her to move through a variety of ideas and sceneries. With her vocals tied to this performance, Á becomes a very moving and mesmerizing journey, displaying Hekla's experimental spirit in full.